Getting visitors to your website is half the battle, but the other half is keeping them on your website and encouraging them to return for more information that will eventually lead to bookings. To help improve bookings, vacation rental companies should focus on their website’s bounce rate and how they can reduce the percentage of visitors who enter their site only to leave immediately. 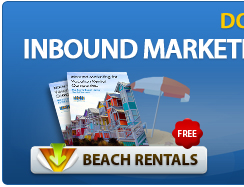 Not sure what your vacation rental company can do reduce your bounce rate and gain more bookings? Use these great tips and tricks to get that number lower than ever! Attract Your Ideal Vacationer: Make an effort to attract the exact renters you are looking for. Implementing a strong content marketing strategy that creates the content that your buyer persona is searching for can bring in the correct traffic and keep visitors on your website attaining more information. This also helps promote your company as the authority for vacations in the area, keeping you top of mind for bookings. Make Your Website User Friendly: Optimizing your website to be attractive to users and easy to navigate can keep visitors on your website longer than non-optimized websites. If the visitor arrives at your website and finds it difficult to navigate, they are more likely to leave and never return. This idea makes responsive websites extremely important. If your website is not mobile-friendly you are missing out on one of the largest portions of vacation researchers online. If a visitor comes to your website and your site is non-responsive, it will make their user-experience unpleasant and increase the likelihood of them leaving your page, increasing your bounce rate. Maintain your Page Load Speed: If your website is slow to load, you are likely losing visitors as they wait for your pages to show. Avoid using multimedia content on your website and make sure all external links open in a new browser tab. This will help keep your potential customer on your website, gaining information and becoming more convinced they should book with your company. Set Realistic Goals for Bounce Rates: Bounce rates vary from website to website depending on what product or service is offered. Understanding your industry and investing time to determine the average bounce rate can help you set goals and analyze if certain tactics are successful. This can help you hone your internet marketing plan and allow you to gauge if your ideas are converting into vacation rental bookings. These are just a few ways you can improve your vacation rental website bounce rate. Implementing these ideas and continuing to analyze your efforts can help keep the visitors coming in and turning into repeat bookings. 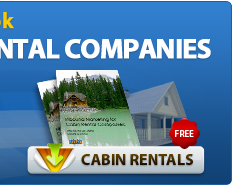 Want to learn more about how your company can become the leader in your area for vacation rentals? Check out our vacation rental marketing blog and stay up to date on vacation rental internet marketing! This entry was posted in Blog, Vacation Rental, Vacation Rental Marketing, Website Design. Bookmark the permalink.